As with most boys his age, young Azri is curious and slightly restless. He asks a photographer if he could play with the photographer’s DSLR for a bit, and then proceeds to walk about with the camera, taking pictures of things from a child’s unique perspective. He fidgets around in his chair, and wanders in and out of the room. Unlike most of them, however, Azri was born with a congenital heart defect known as Tetralogy of Fallot. The condition is characterized by a hole in the ventricular septum and structural abnormalities of the aorta, pulmonary valves and muscular walls. This causes low oxygen levels in the blood, which may cause those affected to appear blue and short of breath. It is usually treated with surgery. Azri had a second operation when he was two years old to replace the tube in his heart, to accommodate his growing body. His condition causes him to fall ill easily, and he has to be constantly mindful of his movements so as not to dislodge the tube. Still, it has not stopped him from being physically active. “I enjoy playing with my friends and I like PE lessons,” says the 11-year-old, who is currently a Primary 5 student at Grace Orchard Special School. Soon after attending Primary 2 in a mainstream primary school, Azri was diagnosed as having learning and developmental delays. He was not able to cope with the mainstream primary school curriculum and it was then he was transferred to Grace Orchard at the age of 8. 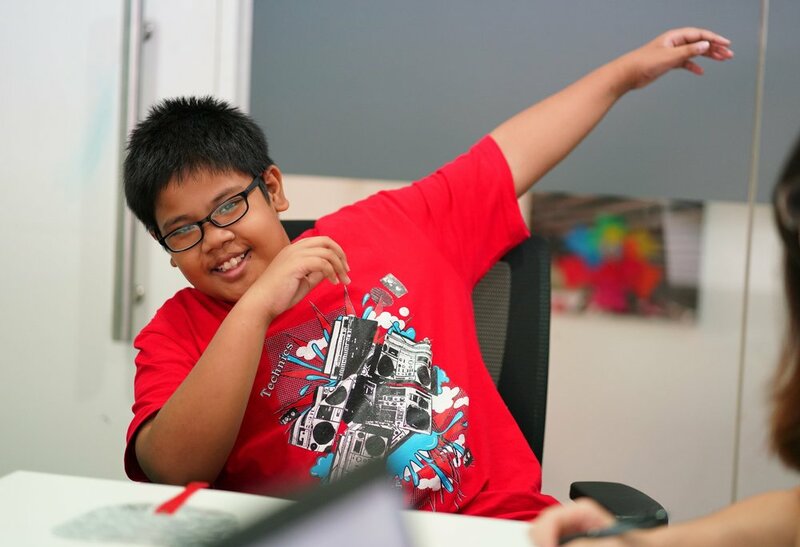 Azri has since showed great improvement after changing schools and attending catch-up lessons. For his efforts, he received Club Rainbow’s Education Award, which is given to students who have shown good progress in their studies. Club Rainbow is also supporting the family in other important ways such as providing monthly food rations, yearly bursary, weekly tuitions, and previously with financial assistance. Mdm Ashikin is afflicted with diabetes, hypertension and kidney problems. The various ailments have led to complications; Mdm Ashikin recently had to undergo a toe amputation due to an infection, and she has to constantly go for medical check-ups to manage her various conditions. In addition, Azri’s condition requires him to go for regular follow-ups with a heart specialist. This has caused the family to rack up substantial medical bills over time, even though they are receiving subsidized treatment. As Mdm Ashikin is a Long-Term Visit Pass holder, she cannot seek employment in Singapore. Azri’s father, who is a cleaner, is the sole breadwinner for the family of 4. His monthly income is barely enough to support himself, his wife, and two actively-growing boys. Club Rainbow stepped in to help, by providing food rations, bursaries, tuition, and financial assistance where needed. One of the most important support from Club Rainbow has to be the social integration programmes. Joining Club Rainbow’s activities with Azri has enabled her to build up a support network, by providing opportunities to connect with other parents with chronically-ill children, social workers, and volunteers. It also helped her witness Azri’s growth in self-confidence, giving her some reassurance about his future. Like all parents, Mdm Ashikin has hopes and dreams for her child.